Today urgent prayers are being offered for Padre Bernardino Bucci, OFM. We’ve been notified that he was transferred to the hospital in San Giovanni Rotondo. Padre Bucci is the Spiritual Father of all the little children of the Divine Will, we attribute our having the writings of Luisa, the biographies, letters, relics and more to his life-long dedication and that of his Aunt Rosaria. Actually, 70 years ago, on November 27, 1948 Arb. 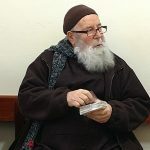 Addazi granted permission to print prayer cards of Luisa with relic, giving her the title of “Servant of God”, at the persistance of Rosaria Bucci. Rosaria dedicated her life to assisting Luisa, then making her known after her death. It was the Bucci family that provided much of the documentation and materials for the Cause of Luisa. Servant of God Luisa Piccarreta, pray for Padre Bucci. Rosaria Bucci, pray for Padre Bucci. 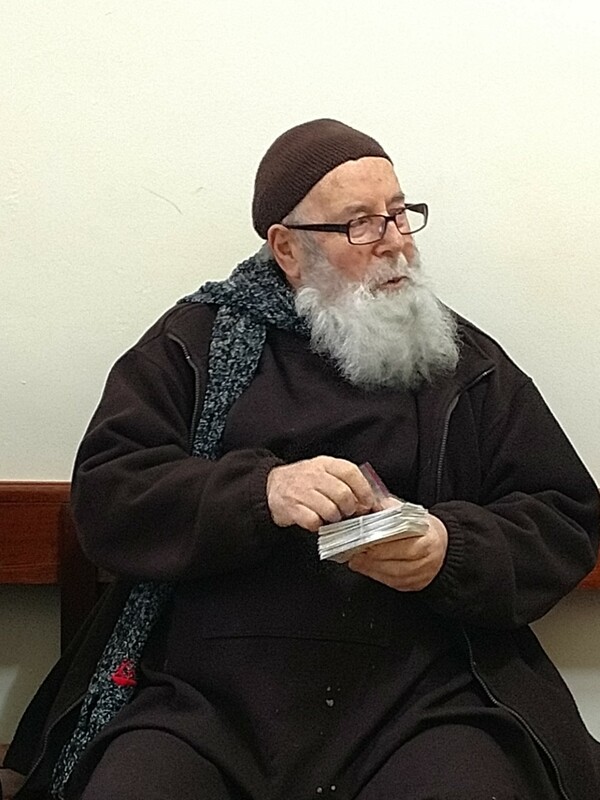 All Saints and Angels, and all priests and souls connected to Luisa, pray for Padre Bucci. V35 – 2.20.38 – Jesus became silent, and I remained with the scene before my mind of so many Jesuses for as many existing creatures. But I carried a thorn inside my heart that tortured me and embittered me – down to the marrow of my bones – for a person very dear to me, and necessary to my poor existence, who was in danger of death (FR. BUCCI); and I wanted to save this person (FR. BUCCI) at any cost. Therefore I took the Divine Will, I made It all mine, and in my sorrow I said: ‘Jesus, your Will is mine; your Power and Immensity are in my power. I do not want this, and You must not want it either.’ My God, I felt I was battling with a Power; and in order to win, my mind brought itself before the Divinity, and I placed around It the expanse of the heavens with all the stars in prayer, the vastness of the light of the sun with the might of its heat, the entire Creation – in prayer; and then the seas of Love and Power of the Queen of Heaven, the pains and the Blood shed by Jesus, like many seas around the Divinity – all in prayer; and then the many Jesuses of each creature, so that they might have a sigh, a plea, to obtain what I wanted. But what was not my surprise and emotion together, in seeing and hearing that the many Jesuses of each creature were praying to obtain what I wanted? I remained confounded in seeing so much divine goodness and compliance. May He be always thanked and blessed; and may everything be for His Glory.